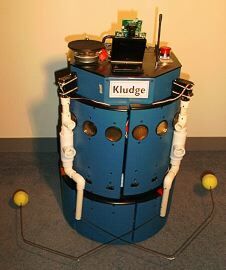 A kludge, pronounced klooj, is a clumsy or inelegant solution to a problem or difficulty. As they stand, creating youth advisory boards, hosting youth forums, and engaging youth as evaluators often serve as a klooj for engaging youth. By community leaders, whose independence is largely questionable when they are routinely responsible for ensuring one of the previous roles. As we grow older those intricacies continue to obliterate any conceptions we may have held over from childhood, as the burdens of adulthood ensure its difference and indifference to children and youth (for most young people). Bills and jobs and healthcare and cars and banking and relationships are among the many differences; Schools and policing and youth work and relationships are among the many indifferences that adults feel towards young people. All of this is to explain why we, as adults, feel we must create systemic efforts to engage youth. We create training programs for youth workers; design action planning to encourage effectiveness; implement programs and make adaptations along the way; systematically evaluate youth involvement, and; re-envision the program for next time or end it. How natural is any of that? How authentic is any of that? In reality, as adults and as a society, we are largely inept at youth engagement. We end up of creating these kludges that are neither familiar to young people nor particularly responsive to their needs. Instead, they are familiar and responsive to our needs as adults! How perposterous is it to claim that in order to more effectively meet the needs of young people adults are going to have them more effectively meet our supposed need for their validation of our programs and organizations? We must whittle our intentions down to their most genuine responsiveness to the needs of children and youth in order to name them accordingly and then react accordingly. Those according acts must be real – not otherwise. That may mean an end to the convenient activities we have come to know and so easily engage in. That may mean that we come to know and seek to actually understand the young people we work with as equals, or even partners. This type of realistic and authentic approach to engaging young people can help move our work beyond the kludge youth involvement has become. The Conundrums of Working in Systems. You always share really good food for thought, Adam. Thanks. Adam, how do we get past all of the nonsense and actually help the Youth and make them equal? I like to think it wasn’t that long ago that I was a youth, but the sad truth is, at almost 40, it has been a while. Yet, I can very much relate to my 17 year old’s concerns, desires, needs, wants. It’s difficult to find the middle area, where we need to be, to help the Youth be our equal without losing our authority, especially from a parent’s perspective. Jenna likes to describe me as her best friend and I appreciate that, but I am not her equal on all levels, only some. When I sometimes cross the line and become an equal, it’s not positive…..
All that rambling to say- I don’t know how to become an equal without losing my authority; how to give youth their power, without giving too much- is it even possible?